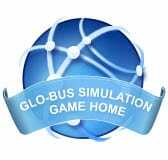 Most Business Strategy Game/Glo-Bus classes have quizzes separated in difficulty known as “BSG Quiz 1” and BSG Quiz 2″ or “Glo-Bus Quiz 1” and “Glo-Bus Quiz 2”. The quizzes have many in game questions relating to the rules, and some questions can be very difficult. 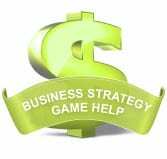 Especially in BSG /Glo-Bus Quiz 2, the answers will need to be solved using basic business knowledge. 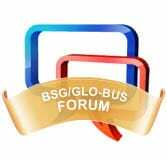 Here is an example of a question in BSG /Glo-Bus Quiz 2. The euro has grown weaker versus the US$. The Brazilian real has grown stronger against the Sing$. The Brazilian real has grown stronger versus the euro. The euro has grown stronger against the US$. The US$ has grown stronger versus the Sing$. This is how you answer this question. If year 1 values are lower than year 2, that means it takes more money to purchase another currency in the present year. Or in effect, that the currency will grow weaker. If year 1 is higher than year 2, that means it takes less money to purchase another currency. Or in effect, that the currency will grow stronger. So let’s deduce which one is the right answer. “The euro will grow weaker versus the US$. ”This can not be right, as the numbers have gotten smaller in the second year, which actually means the currency has gotten bigger. “The Brazilian real will grow stronger against the Sing$. ”As the second number has gotten smaller that means the currency has gotten stronger. But the currency in question is the Sing being stronger, and the words are reversed in this answer. This answer is wrong. The second number is larger than the first, which means that the currency has gotten weaker. Another wrong one. “The euro will grow stronger against the US$. ”By deducing the first answer, it made this answer automatically right. As the first number is higher than the second, which means the currency has gotten stronger. As the second number has gotten bigger, this means the currency has gotten weaker, and this answer is wrong. Tough stuff eh? It’s not that hard if you walk away and come back to it. But this is how tricky the quiz can get.